Thoughts on Learning and Learners Everywhere! As I reflect on the past several weeks, I have been thinking about learning. I’m sure we all have stories of our own “Back to School” moments. 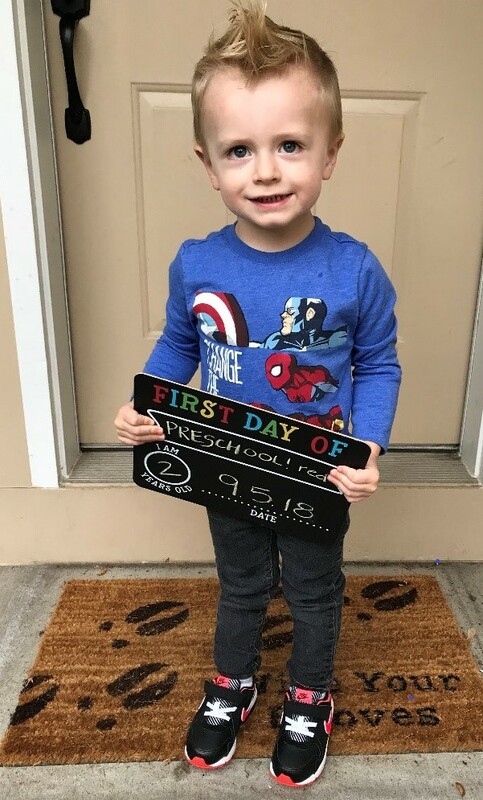 In my own life, my grandson experienced a first of many “Back to School” poses for social media as he embarked on his learning journey with his first day of Pre-School. With excitement in his eyes and butterflies in his tummy (I suspect), no doubt he will experience many ups and downs along the way. His life-long learning journey has begun! My newest daughter-in-law to be has begun her Residency in Atlanta this past August. With a passion for oncology research for women and ethnic minorities (she hails from Colombia, South America), she will be an awesome Doctor! Her learning journey continues…she recently admitted to us that she would be perfectly happy to continue cracking books and studying her entire life – aha! A true-life-long learner! I’m not getting any younger…learning keeps my brain going, so I consider myself, by necessity to be a life-long learner. We’ve all heard about learning styles – that process of gathering, sifting through, interpreting, organizing and storing information. I recently read an interesting article entitled "Learning Styles" from Vanderbilt University’s Center for Teaching, suggesting that one’s learning style is really tailored to the content of the instructional content, and we can all find value in all types of learning. That notion really makes sense to me – using the kinesthetic learning style for painting or woodworking classes; visual activities must work well for a course in geography or map-making; reading activities would be great for a course on American Poets; and my favorite – haul out the old turntable and put those auditory skills to work with activities for a class on the music of The Beatles. I have always found myself drawn to an eclectic mix of musical tastes – I love a good Chopin Nocturne, and my favorite bands run the gamut – from Green Day to AC/DC to The Eagles. I can really embrace the fact that we might all have a bit of every learning style in us. With that in mind, I encourage everyone to take a class this next year just to develop one of those learning styles that might be hiding out in the dusty crevasses of our brains! One more thing – if you haven’t already been certified by SDA, take this opportunity to consider signing up for the Certified Design Firm Administration (CDFA) exam – this winter might be a great time to brush up on your learning skills, plan to take the test next May during EDS19, and work towards earning a very useful certification at the same time! What learning are you planning to do in the coming months? Tell us in the comment box below. Marie Tomala, CDFA, is an Associates and the Data/Project Analyst at Cuningham Group Architecture in Minneapolis, MN. She also serves as the 2018-19 SDA National Secretary.